The Numatic TT4045 is one of the most popular scrubber dryer machines we sell and is arguably one of the most popular in the country. This machine is ideal for cleaning medium to large hard floor areas, most commonly purchased by schools, village halls, leisure centres and hospitals, anywhere with large halls or long corridors this machine is very well suited. The Numatic BMD-1000 range of floor polishers from Janitorial Direct incorporate components and design characteristics that, having undergone continuous upgrading over the past twenty years, are truly 'tried and tested'. COMES WITH FREE DRIVE BOARD. The HFM1015 provides superb performance with a full 450mm brush range together with a 400mm PadLoc pad drive system. 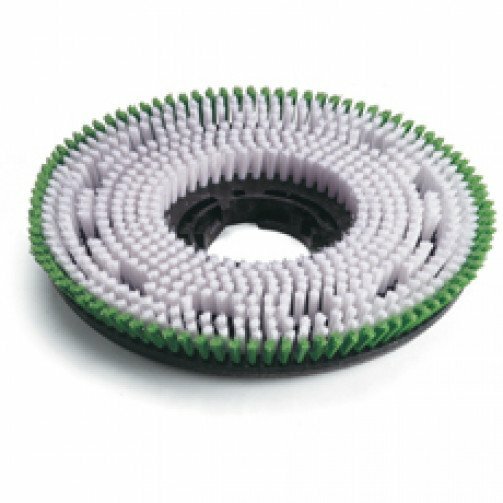 For polishing, scrubbing, stripping or abrading the widest range of surfaces using brushes or pads. The HFM1023 provides superb performance with a full 450mm brush range together with a 400mm PadLoc pad drive system. For polishing, scrubbing, stripping or abrading the widest range of surfaces using brushes or pads. Available in two motor sizes.